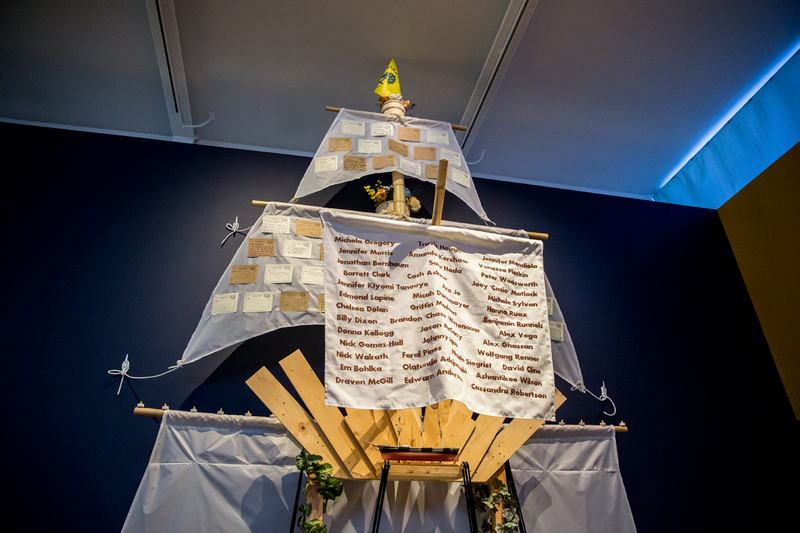 Please stop by the Oakland Museum and visit the memorial MAP artists Chris Treggiari and Peter Foucault built to honor their colleague Alex Ghassan and other victims of the tragic Ghost Ship and San Pablo Fires. This year, OMCA’s biennial Days of the Dead exhibition, curated by Guest Curator Evelyn Orantes, is inspired by the lifecycle of the Monarch Butterfly. Known for its mass migration each winter, this butterfly’s journey spans several generations, all of whom follow the same routes their ancestors took. In Mexico, the returning Monarchs also symbolize the returning souls of loved ones who have passed away. In Metamorphosis & Migration: Days of the Dead, explore ofrendas and artworks inspired by the Monarch’s migration and themes of tradition and transformation. View rarely-seen butterfly specimens from OMCA’s collection alongside newly commissioned artworks. Artist Hung Liu honors her mother’s passing through a series of heartfelt paintings. Favianna Rodriguez ponders migration and immigration in a new way using her “Migration is Beautiful” butterfly imagery. Chris Treggiari and Peter Foucault honor colleague Alex Ghassan, who lost his life in the tragic Ghost Ship fire. A new mural by Jet Martinez welcomes visitors in the Oak Street Plaza. Fernando Escartiz’s giant papier maché sculpture depicts a traditional Día de los Muertos calavera. And, traditional Days of the Dead altars by Bea Carrillo Hocker and Rafael Jesús González, as well as installations by Oakland International High School with Sara Stillman and Thornhill Elementary School with Kathrine LaFleur, energize this communal space for reflection and empowerment in these turbulent times. Don’t miss our 23rd Annual Days of the Dead Community Celebration on Sunday, October 22! Learn more. Metamorphosis & Migration: Days of the Dead is supported in part by the Oakland Museum Women’s Board. 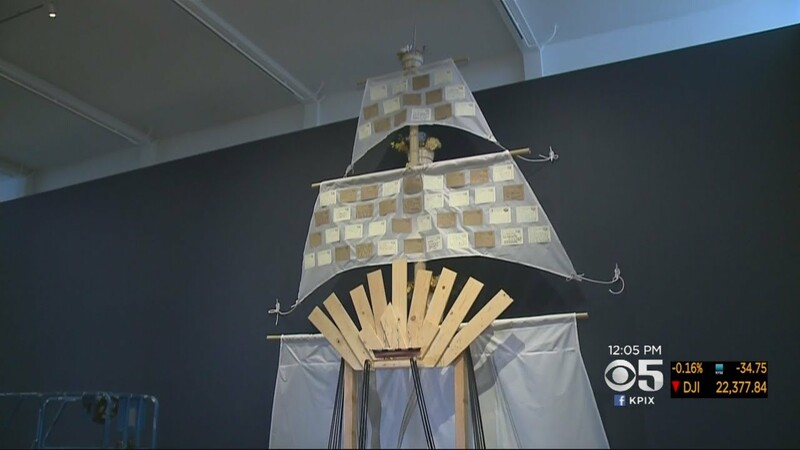 Artists are paying tribute to those who died in the Ghost Ship fire at the Oakland Museum of California. 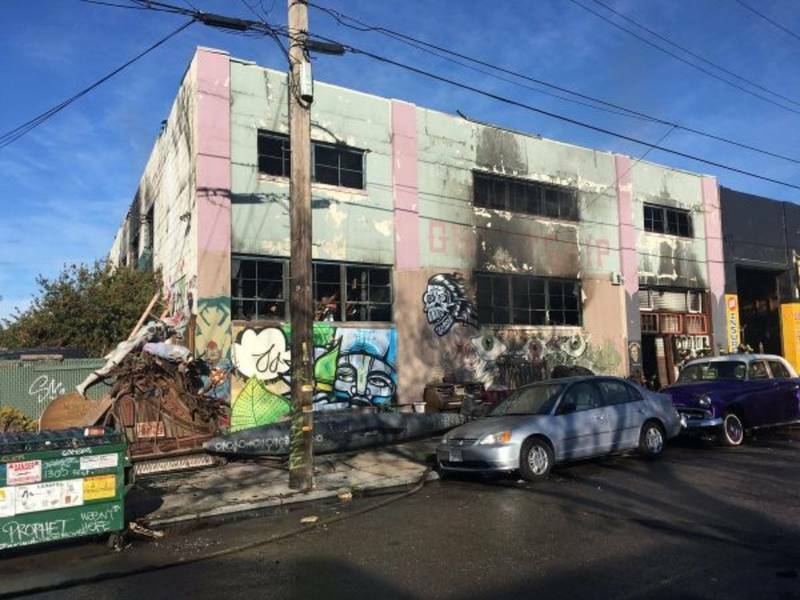 An art installation that pays touching tribute to the victims of the Oakland Ghost Ship Fire is almost ready to make its public debut after months in the making. 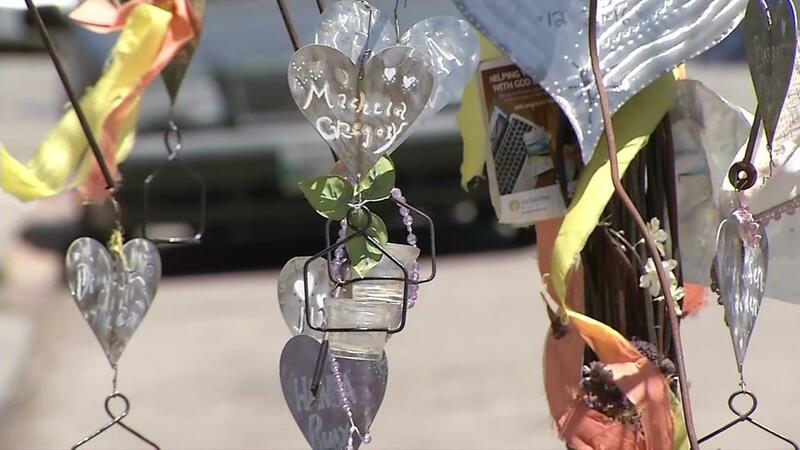 A memorial is being installed at the Oakland Museum Thursday to honor 36 people who lost their lives in the Ghost Ship Fire last December. Aktuelle Bilder von Installation Of Memorial Honors Victims Of Ghost Ship Fire In Oakland durchsuchen. Bilder ansehen und mehr über Installation Of Memorial Honors Victims Of Ghost Ship Fire In Oakland bei Getty Images herausfinden.